Never content to rest, Ryk was inspired to re-visit the spartan motif. 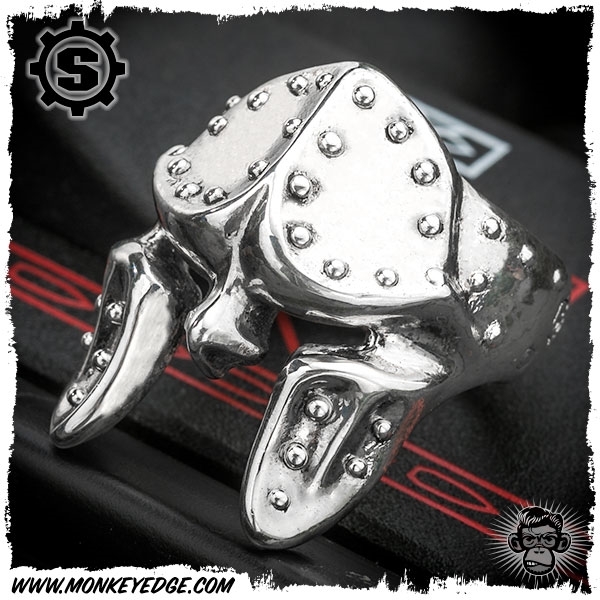 The new "up armored" spartan badass ring with a more agressive look. It also is easy to wear as it is a bit flatter than other Puncher size rings. This one has polished finish. Size 13.